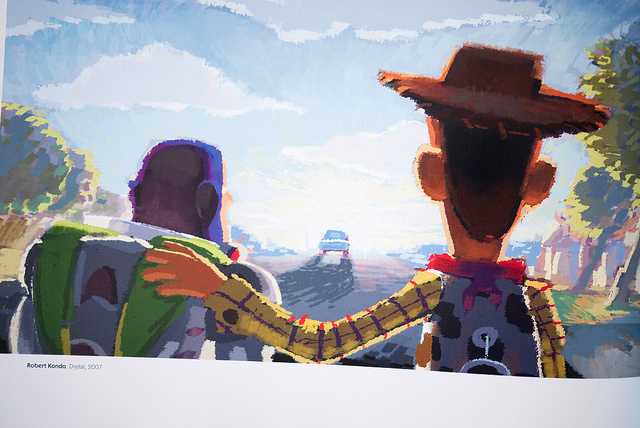 The first Toy Story movie in over a decade isn’t simply the biggest-grossing animated film of all time: it’s also one of the best. So it’s a shame this four-disc Blu-ray set doesn’t tell you more about how it was created, says Fernando Caire. 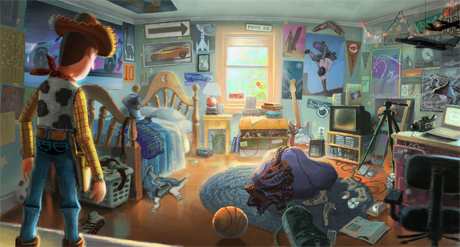 Mention the phrase ‘CG animation’ and it is impossible to not think of Pixar Animation Studios. 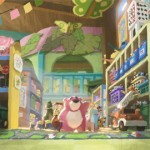 The company has created 11 animated features, all of which have been box-office successes. 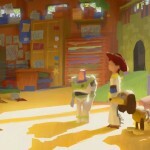 So when Toy Story 3 was released, the surprise was not that it did well, but how well. 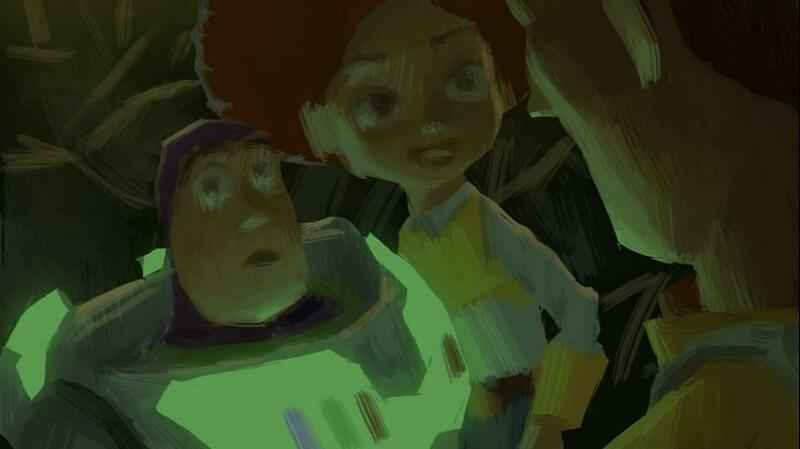 The film has grossed over one billion dollars worldwide, making it Pixar’s most successful to date, not to mention the most successful animated movie of all time. 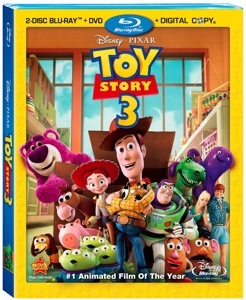 While buying a film of this caliber on Blu-ray may be a no-brainer, what else do you get in this four-disc set – other than the number one animated movie of the year? But first, the plot. 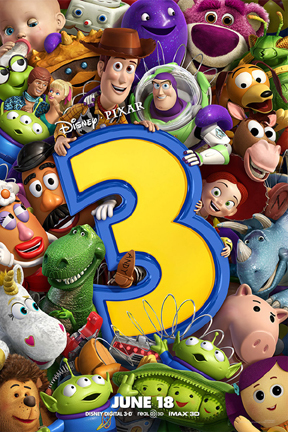 Toy Story 3 goes into some darker territory than previous outings, pitting our small heroes against some of the most daunting challenges they have ever faced. 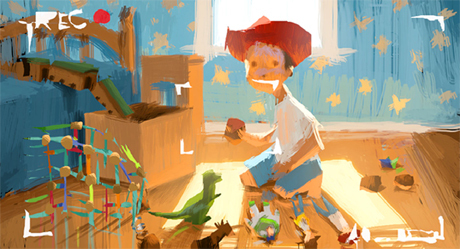 In the movie, Andy is all grown up and moving on to college and needs to decide what to do with his old toys. 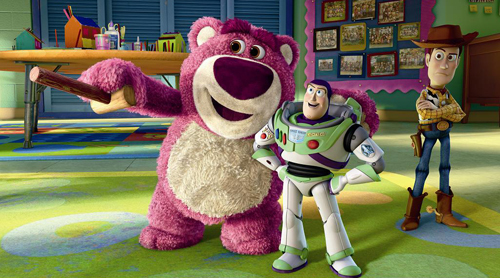 While Woody (Tom Hanks) tries to assure the gang that everything will be fine, an unfortunate series of events leads the group to being donated at Sunnyside Daycare, run by seemingly kind teddy bear Lotso (Ned Beatty). 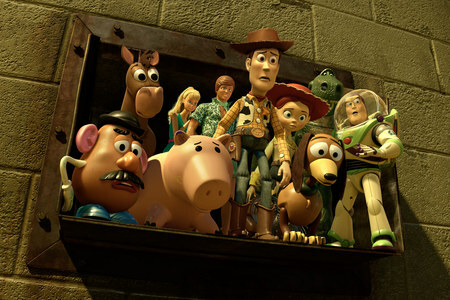 Despite Woody’s determination to make it back to Andy, the rest of the toys believe their former owner does not want them anymore and that they have found a new home. 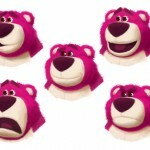 But when Sunnyside and the sinister Lotso are revealed not to be what they first appear, the gang become caught up in a race against time to escape and get back to Andy before he leaves for college. The four-disc set includes the HD Blu-ray movie, Blu-ray bonus disc, a DVD copy, and a digital copy to download. Though I wished it had contained more on the making of the film, it still has a fair number of extra features. 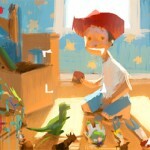 The studio stories – short animations narrated by the workers at Pixar – describe some of the behind-the-scenes stories. These were my favorites among the extras, being as humorous as they are informative. 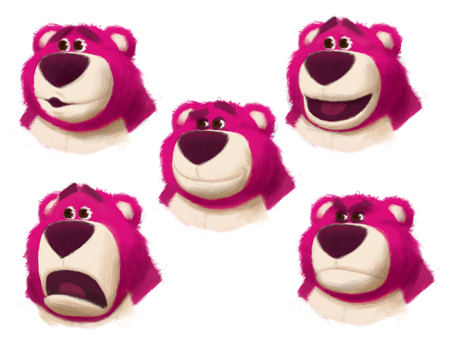 There are also several short looks at the making of the film, although nothing too in depth. 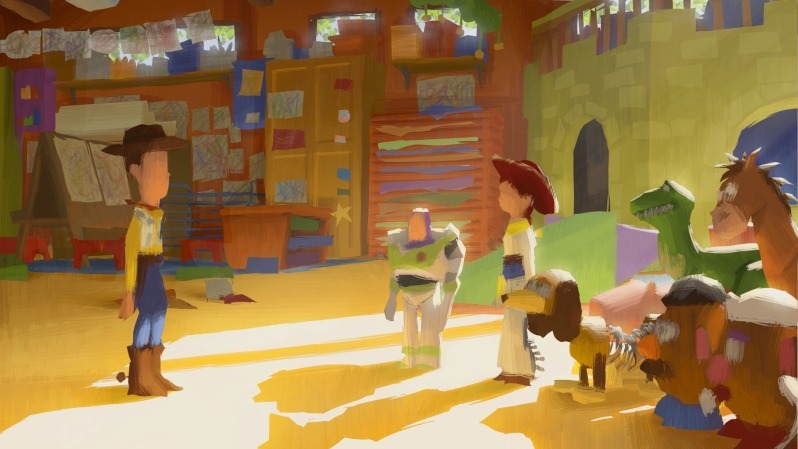 The rest of the content comprises an interactive trivia game, TV spots, trailers for new releases, and Pixar’s recent animated short Day & Night. 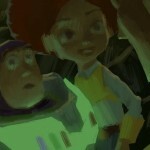 Director Lee Unkrich has created a beautiful, heartfelt and at times dark animated film – and, in my opinion, the best of the series. A more serious storyline with the right balance of humor and a dark undertone compels the viewer to care more for the toys than ever before. 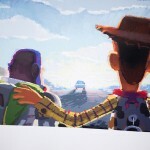 There is a scene towards the end that brought viewers to the brink of tears when I saw the movie in theaters earlier this year. 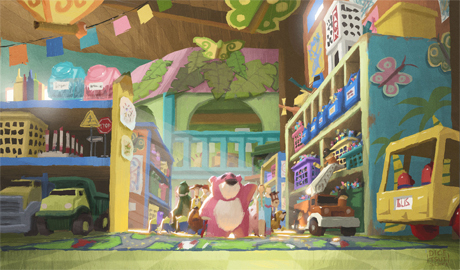 It takes a great deal of work to make an animated film deliver that kind of emotional punch. Though the extra features leave a lot to be desired, there is still plenty to keep you entertained. 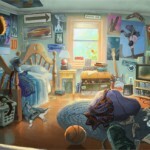 If you loved this film in theaters, you will love it even more at home. 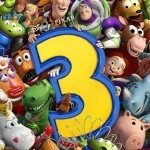 Toy Story 3 is released on 2 November in North America, and 22 November in the UK. 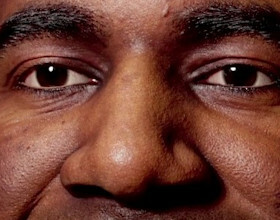 The four-disc Blu-ray set costs $49.99. The film is also available as a two-disc Blu-ray set ($39.99) and on DVD ($29.99).